Hello and welcome to the online home of J’s Bouquets. Llŷn Peninsula in North Wales. At J’s Bouquets we pride ourselves in providing a fantastic service. With an outstanding reputation for quality, we are a friendly and professional family business. We are happy to help and advise on whatever your occasion may be. We have a talented florist, trained at Judith Blacklock’s Flower School in London, who makes up fresh bouquets and displays daily. If you’re in a hurry no need to wait or hesitate, just collect and go! Additional gifts are available to complete your surprise, such as helium filled balloons. We will help and guide you with flowers for your ‘special day’. At your consultation we have magazines and computer facilities to help you compare different flowers and styles. 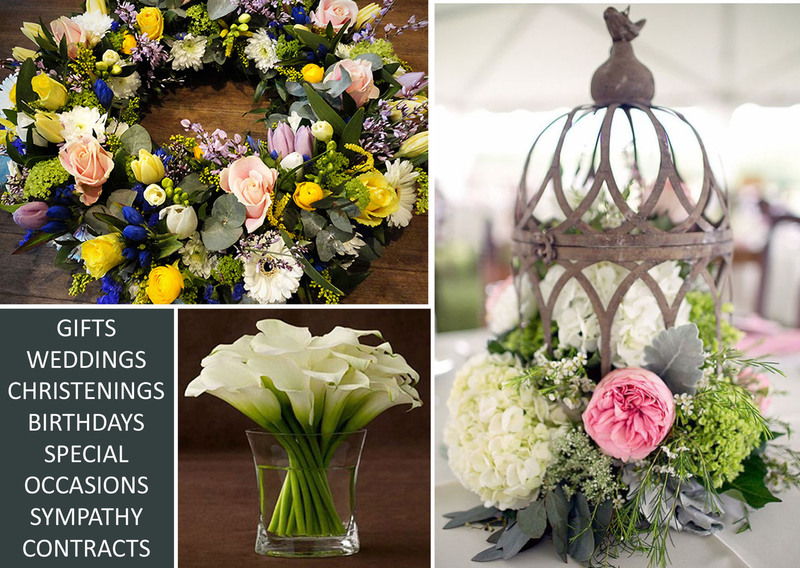 At J’s Bouquets, we put our time, effort, heart and soul into creating the perfect floral accompaniment to this very important occasion. We cater for all corporate events, as well as general occasions. We will create ANY original/designer funeral tribute, come into the shop and have a chat with us. We deliver over a wide range of areas, please ask us for details.